Noodles & Co. has found an unlikely, non-pasta savior: zoodles. You know, those spiralized zucchini ribbons that are “totally just like noodles, but low-carb!”? Yeah, apparently people actually like those things, because zoodles have single-handedly turned around Noodles & Co.’s lagging sales. 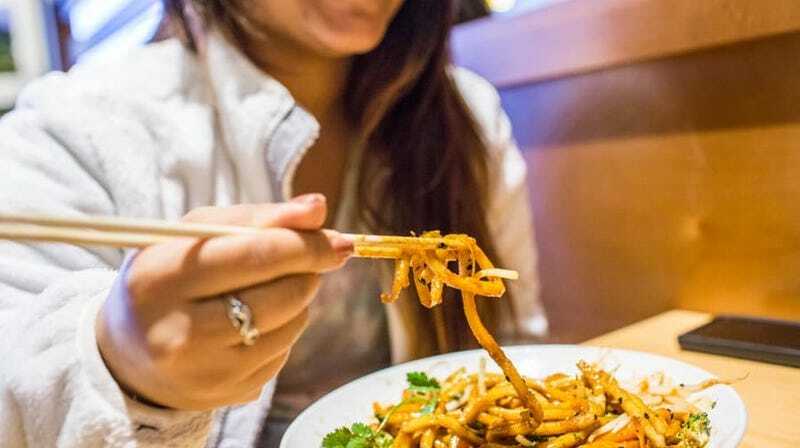 Nation’s Restaurant News reports the newly introduced zoodles are to thank for the pasta chain’s best quarter in six years. The zucchini ribbons also led to the company’s first positive same-store sales since early 2015. Behold the power of zoodles, I guess. Look, good for Noodles & Co. or whatever. But zoodles are not noodles. I do not want to reimagine noodles. Noodles are great the way they are! I can only imagine Nonas everywhere clutching their chests at the thought of zoodles fagiole, or zoodles all’Amatriciana, or zoodles e pepe. I’m truly happy for the customers who have found a veggie-based dish they like, but let’s not let zoodles push out good old-fashioned gluten entirely.